Before beginning any modern scientific investigation of Qi, the concept of Qi and its properties in Chinese philosophy must be known. Qi as a fundamental concept in traditional Chinese thought has multiple levels of meanings. We will introduce some of these here as we offer some basic background information about Qi in Chinese philosophy. Qi might have been first discussed by Chinese philosophers (see G. Maciocia. The Foundations of Chinese Medicine  ). 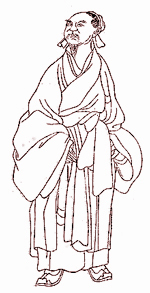 Huai Nan Zi, a Daoist book written circa 122 B.C., states that the Dao originated from Emptiness and Emptiness produced the universe. The universe produced Qi. 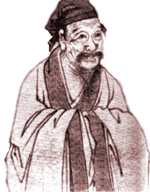 Zhang Zai (1020-1077) said that the Great Void consists of Qi. Qi condenses to become the myriad of things. He clearly understood the concept of the matter-energy continuum, in the sense of modern physics, even though these ideas were conceived centuries later. He also saw the indestructibility of matter-energy as revealed by his statement "Qi in dispersion is substance and so is it in condensation." "Qi forms myriads of things" implies that Qi, as does Energy in certain modern scientific theories, must involve information (every exchange of energy in the universe contains such "information" on how that energy will be manifested in the future). He also said that every birth is a condensation and every death a dispersal of Qi. Thus, just as "Qi" is the energetic foundation of the universe, it is also the physical and spiritual substratum of human life. Zhu Xi (1131-1200) confirmed that Qi condensing can form beings and the conservation of energy, when he stated: "When dispersing, Qi makes the Great Void, only regaining its original misty feature, but not perishing; when condensing it becomes the origin of all beings." From these classic discussions we suggest that a modern scientific explanation of Qi must involve aspects of matter, energy, and information involving the Mind which can influence Qi according to Qigong theory. This reminds us of the new finding in modern physics, called the "hidden dimensions" which explores the relationship of human consciousness and modern theoretical physics. The concept of Qi as being both an actual refined substance as well as also being a non-physical energetic cause of functional activities may be better understood by analyzing its traditional Chinese character: 氣. 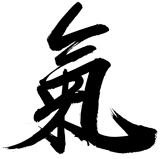 Here Qi maybe decomposed into two radicals: the first (气) is a pictogram for "vapor, steam or gas." The second (米) is a pictogram for "hulled or husked uncooked rice or grain." Notice that it is the energy or life-resource within the grain that is called "qi," and not the material or chemical part itself. This is made clearer by the fact that rice could lose its taste and "gain qi" after being offered as oblation to the soul. This usage implies that Qi can be used as immaterial as vapor and as dense and material as rice. It also implies that Qi could be just a subtle substance (vapor) produced from a coarse one (rice), just as cooking rice produces steam. Thus, sinologists generally agree that Qi is matter-energy in the sense of modern physics. Natural energies, which are not tangible or visible, are particular specializations of this use of Qi when its meaning represents "the energetic foundation of the universe." For example, Seasonal Qi, Heavenly Qi , Earthly Qi and Food Qi. Other examples are environmental factors or forces that may affect human health, such as cold, dampness, dryness, etc. Editor's note: the above entry was adapted from "Qi in Chinese Medicine, Part 1" by Marty Eisen, PhD and Kevin W Chen, PhD published in Yang Sheng (Nurturing Life). Giovanni Maciocia. The Foundations of Chinese Medicine. Elsevier Churchill Livingstone, 2005. See Dr. Eisen's entry "Qi in Traditional Chinese Medicine in Qi Encyclopedia."